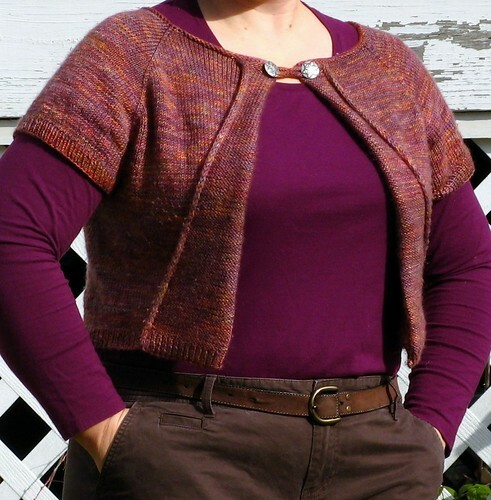 And then a miracle occurred … I finished a sweater, for me! Of course it’s only just barely a sweater, with no sleeves, an open front, and a cropped length. But, still, a sweater! Oh my goodness, have you ever touched Tosh Pashmina? mmmmhmmmmm. It’s just that good. 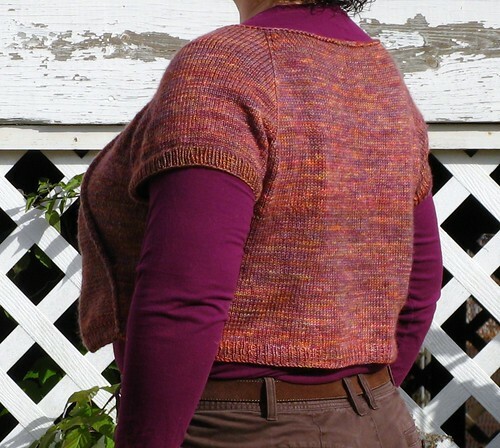 My size (45.25″) used just a smidge over two skeins — so not quite as insane as making a whole sweater out of this heavenly, but oh-so-dear, substance. 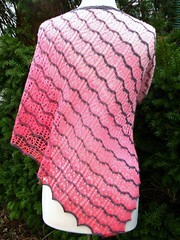 Goodale was designed for Tosh Pashmina, and it worked up beautifully in this simple-but-elegant pattern. 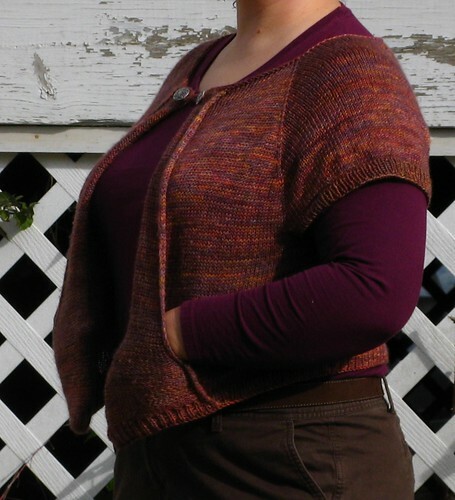 I wore this cardi to the Fiber Fest with a shawl pin at the neck, but I went ahead and put on buttons that night — I love the little i-cord closure. 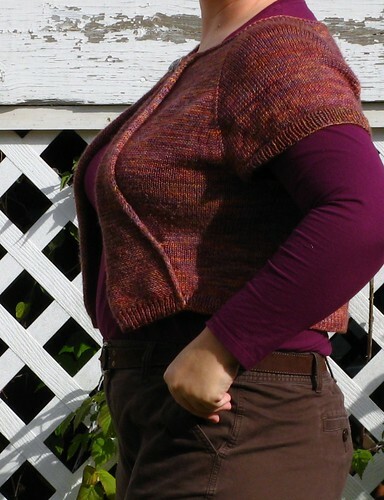 I was tempted to make the cardi a bit longer … but I think I would have ruined the proportions. As it is, I’m glad to have 90% of a skein of Tosh Pashmina to play with. Did I mention the adorable pockets? I remain in awe of Madelinetosh’s gorgeous colorways. Have this gorge cardi in my Rav q and think its devine. I have to send away for the yarn to the UK no where in Ireland sells MadelineTosh! I have problems finishing big things period! I get startitis but never finishitis! This one is pretty easy to finish — very little actual finishing work :).